Individuals suffering from arthritis are frequently disheartened by how much the disease takes from their lives. If you are suffering from arthritis, chronic pains, and stress can narrow your world and may interrupt living a normal life. You may have tried all kinds of medications, performed meditations, and breathing exercises, and maybe even followed a series of different dietary schedules to make you feel better, but somehow, the disease seems to be winning. With arthritis, energy is expended simply attempting to achieve normal errands and normal everyday activities. 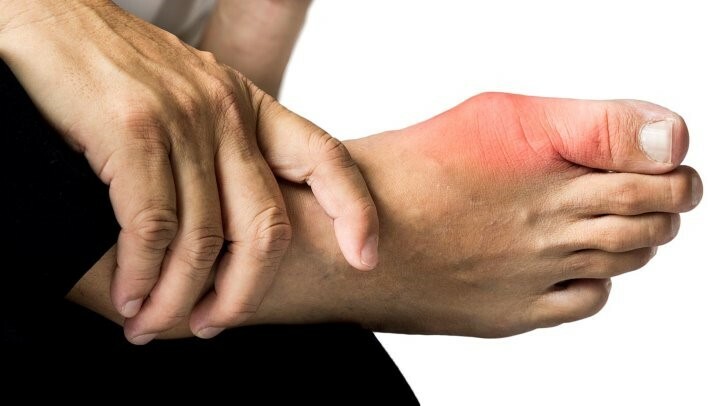 Your concentration may be restricted to simply “getting through the day.” Arthritis begins to take control of your life, rather than taking control of the disease. How can you deal with your illness in a better way? What alterations and changes can you make to your lifestyle to make living with arthritis a lot easier? What actions can you do to get and keep control over the restrictions enforced by arthritis? There are more advantages to working out than simply weight reduction. Frequent and constant movement aids to uphold flexibility in your joints. Weight-bearing working out techniques such as running and walking can be harmful. In its place, attempt low-impact workouts for example water aerobics or swimming to flex your joints without putting additional stress. Your weight can make a huge impact on the amount of pain you go through from arthritis. Additional weight adds more strain on your joints — particularly your knees, hips, and feet. Lessening the strain on your joints by reducing your weight will augment your movement, reduce pain, and prevent future harm to your joints. Joint protection can decrease strain on arthritic joints and lessens pain. There are a number of joint protection ideologies which, if performed, will aid in preserving energy and conserving joint function. When your physician gives you a new prescription, it turns out to be your duty to know what the medication is for, how to take it, and what probable side effects might take place. Medication blunders have a lot of reasons, but typically, have one thing in common — they could have been avoided. The advantages of exercise, as part of a management program for treating arthritis, are well-recognized and recorded. Besides the identified advantages, a lot of individuals with arthritis do not exercise on a daily basis. Acupuncture is an olden Chinese medical management that consists of introducing thin needles into precise points on your body. This is thought to redirect energies and reinstate balance in your body. Acupuncture is the most investigated corresponding therapy and is acclaimed by the World Health Organization for treatment of over 100 different illnesses. It is believed that acupuncture has the ability to lessen the pain of arthritis. If you wish to learn more about this treatment method, be sure to locate a licensed and certified acupuncturist in your area. Meditation and relaxation methods may be able to aid you in lessening pain from arthritis by decreasing stress and letting you deal with it in a better way. As stated by the National Institutes of Health (NIH), researchers have discovered that the art of mindfulness meditation is beneficial for a few individuals with painful joints. Researchers also discovered that those with depression and arthritis profited the most from meditation. When anxiety is lessened, inflammation and therefore, swelling and pain also decrease. Omega-3 fatty acids are essential nutrients, that are important in maintaining a healthy body. These fats also assist in your arthritis. Fish oil supplements, which are rich in omega-3s, have been revealed to lessen joint stiffness and pain. Another fatty acid that can assist is gamma-linolenic acid or GLA. It is present in the seeds of particular plants such as evening primrose, borage, hemp, and black currants. You can purchase the oils of the seeds as a supplement as well. However, be certain to consult with your physician before taking them. Always have a talk with your physician before trying a new supplement to not be victim side effects and hazardous drug interactions. Herbs are not regulated and evaluated by the U.S. Food and Drug Administration for quality, purity, or safety. Be certain to purchase from a reputable and quality source. Bad sleeping habits can exacerbate arthritis pain and exhaustion, but there are things you can do to help you fall asleep and remain asleep. Make your bedroom dark, cool and silent, do not consume caffeine or perform strenuous exercise in the evening, and wind down with a warm bath or perform relaxation methods before bedtime. Still, have a problem in sleeping? Have a talk with your physician about an alteration in or timing of your medication or other methods that may help in your sleep. If you pay attention to yourself and be familiar with your responsibility – and ability – to take good care of yourself, you can live well and healthily with arthritis. You will need to make modifications, but make certain your aims are realistic and practical, even if they consist of only little steps in the present. No one can take care of you better than you can.